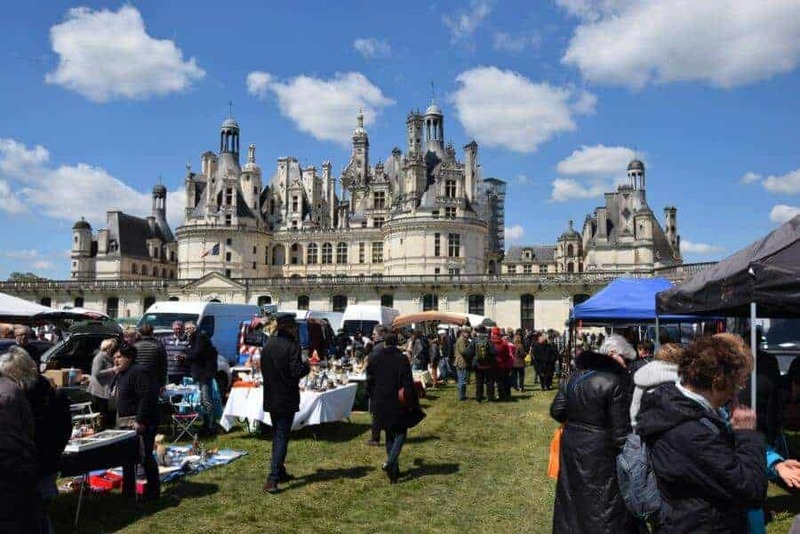 There are flea markets in every pocket of the French capital, and you can get anything you want, from authentic European antiques to fake watches, classical furniture and the latest sneakers. 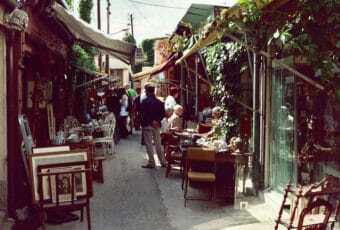 However, the three main Paris flea markets are the Marché aux Puces de Montreuil flea market in the 20th district to the east, the Marche aux Puces de la Porte de Vanves flea market near Montparnasse to the south, and the massive Puces de Saint-Ouen flea market, just outside Montmartre to the north. A visit to one of these three main flea markets in Paris is as much an essential part of a trip to Paris as the Louvre. And once you’ve mastered the metro, you can see the best of them in one day of all-out shopping and spend the next day exploring Paris’ antiques neighbourhoods, known for their high density of antique shops, such as the Carré Rive Gauche or the Village Saint-Paul, a quaint little neighbourhood full of antique shops in the Marais area of Paris. Saint-Ouen flea market in Paris has a long history of market trading. Originally, this Paris flea market was the site of rag-and-bone men who lived outside the city’s borders and were otherwise known as “pecheurs de lune” (moon fishermen), due to their habit of stealing other people’s rubbish by night and then selling it in their stalls by day. In the late 19th century, these traders joined together to form what is now Paris’ largest and most famous flea market, attracting between 120,000 to 180,000 visitors every weekend at Porte de Clignancourt in Paris. Saint-Ouen flea market, or simply Clignancourt flea market, hosts no fewer than twelve different flea markets (among which many indoor flea markets), with a couple of thousand stalls in total. 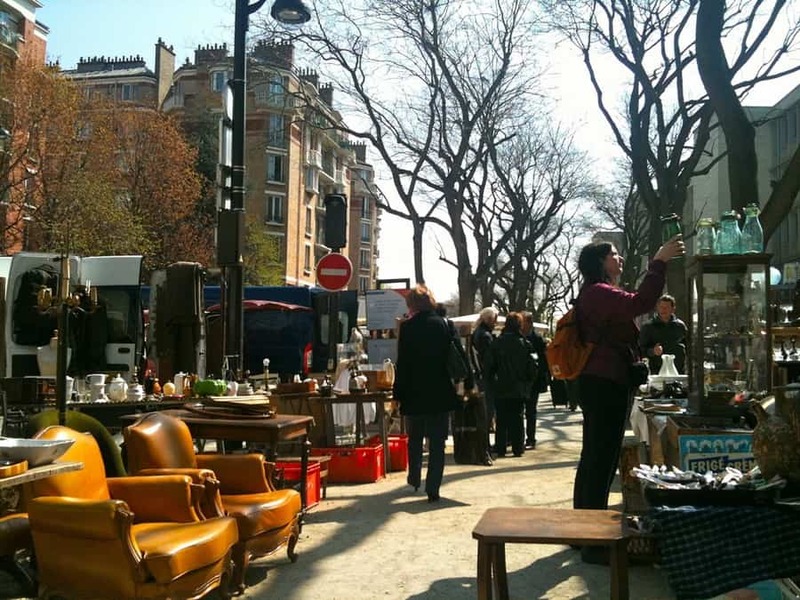 This Parisian brocante covers seven hectares and is the largest antique market in the world. That means it is pretty much impossible to come away without at least a few goodies when shopping at Porte de Clignancourt. 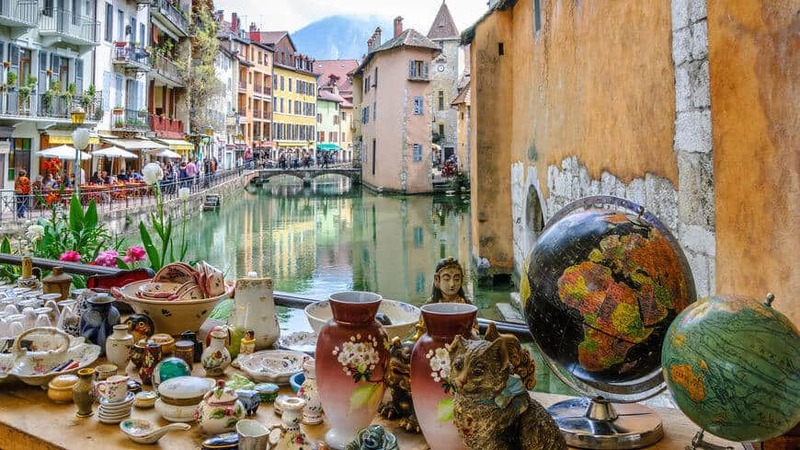 We recommend to first head to Marché Vernaison flea market on Rue des Rosiers for narrow alleyways full of collectables and antiques like kitchenware, books and table lamps. Or, if you are feeling flush, Marché Dauphin flea market on the same street offers some upmarket jewellery and ornate antique furniture. Read our full review of the Paris Saint Ouen – Porte de Clignancourt Flea Market to come fully prepared, as the sheer size of the market can be overwhelming. Porte de Clignancourt flea market is on metro line 4. When: Saturday 10:00 a.m. to 6:00 p.m. > Sunday 10:00 a.m. to 6:00 p.m. > Monday 11:00 a.m. to 5:00 p.m. This Parisian weekend flea market near the Porte de Vanves metro stop in Paris is one of the very best brocante in France, both in terms of size and the eclectic nature of its wares. On Saturday and Sunday (Saturday is perhaps busier) morning, more than 300 vendors set up at the Puces de Vanves flea market until around 1 pm (though a small number may stay later). Some display their goods attractively on tables, while others simply pile them on blankets on the ground. 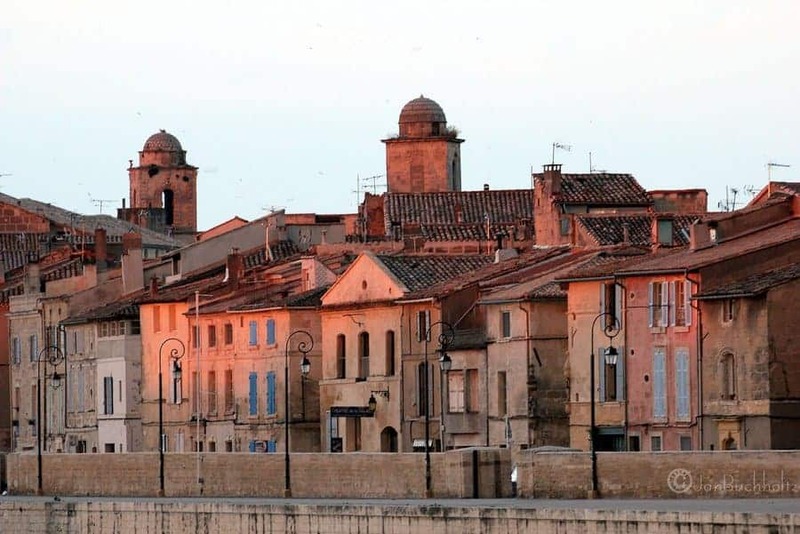 You can find just about everything at this brocante, from the many regions of France as well as from faraway places – not surprising given the international character of Paris. At the Vanves flea market, one can expect to see paintings, ceramics, silver, art deco, 60s and 70s items, linens, books, militaria, kitchenware, and vintage clothing – among many other collectables – at prices that run the gamut. Puces de Vanves might not be the most scenic flea market in Paris, but the tree-lined street has its charm. 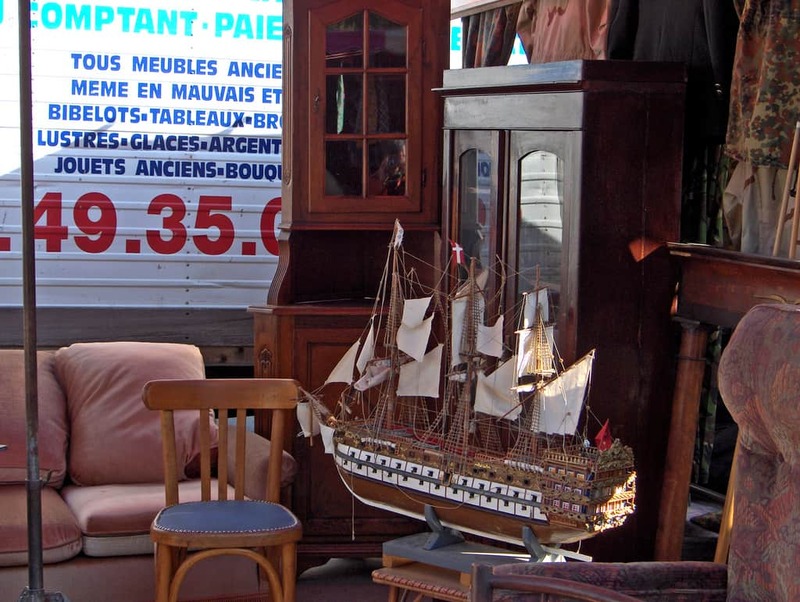 Puces de Porte de Vanves is a flea market for people keen to buy rather than just sight-see. When: Open Saturday & Sunday 7:00 a.m. to 1:00 p.m. 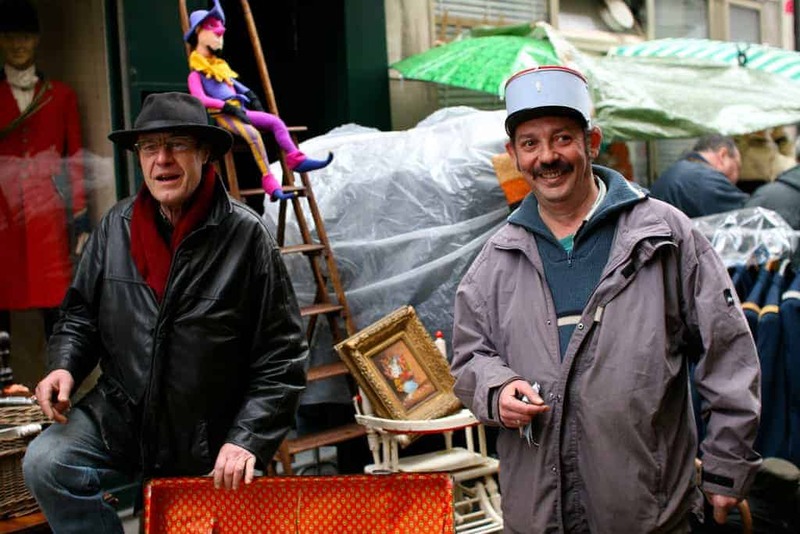 Established in the 19th century, Montreuil flea market is one of the oldest flea markets in Paris and it still has the air of a traditional brocante. There are about 500 stalls at this Parisian flea market and it is known as the best place to pick up some distinctly Parisian pre-loved clothing. Picking your way through vintage fashion, vintage products, vintage images, vintage style dresses, garbled French, aged crockery, faded but fantastic jewellery, rumpled yet grand furniture Gallic, unique vintage, hip-hop and exotic food, it’s hard not to get drawn in. 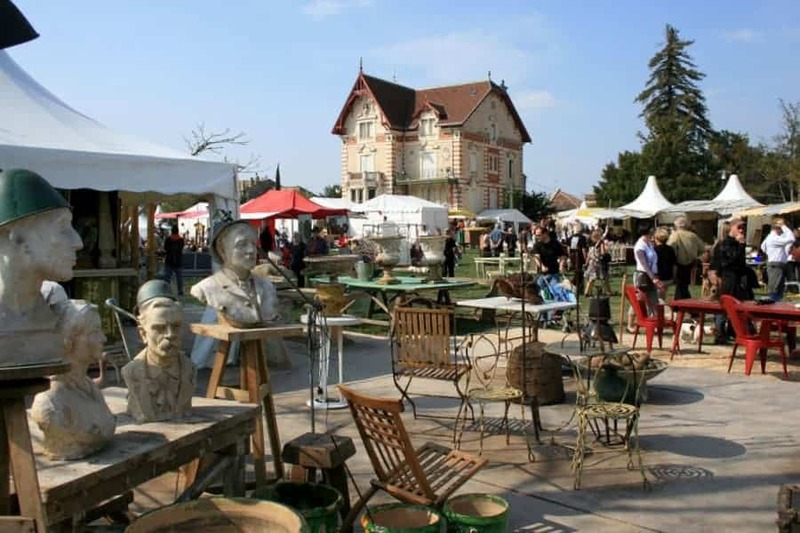 The Montreuil flea market is a good place to find vintage and second-hand items, however, if you are looking for high-end antiques, then there are better places to go than Montreuil. When: Saturday and Sunday 07:00 a.m. to 7:30 p.m. Antique shopping in Paris is arguably one of the best ways to get to know the French capital, as it leads you to the big markets at the outskirts of town as well as into quaint little shops in the center of Paris. 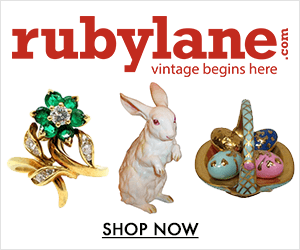 Have a look at our 3-day itinerary for antique shopping in Paris. 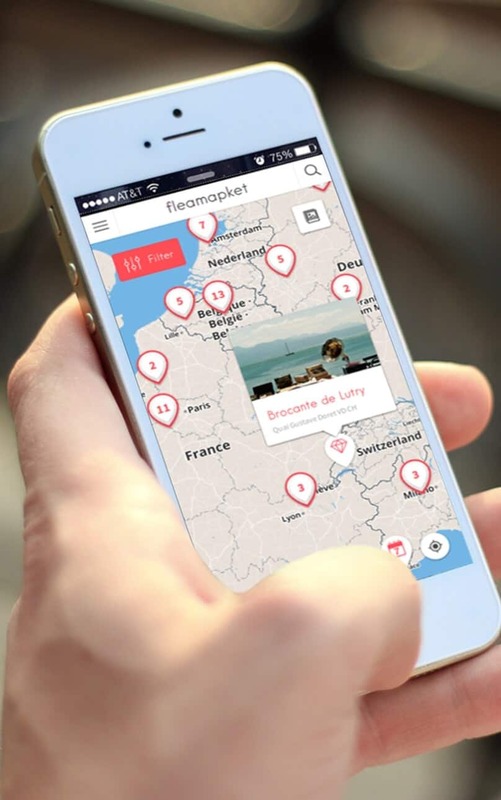 We’ve compiled the best addresses for you on a map!